i Have termites coming from under the concrete by my ingrained pool, can i use this product? 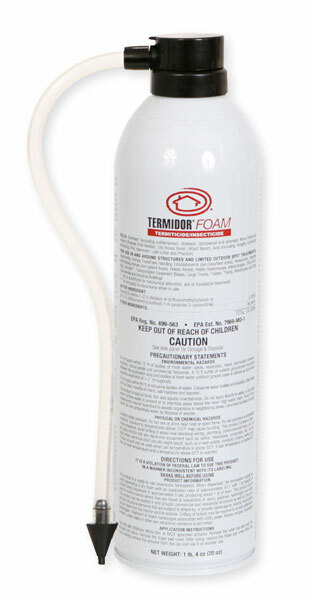 Termidor foam is designed for use inside of wall voids and in limited confined spaces. It is not the best product to use around a pool. Termidor SC would be the recommended product, as you can mix many gallons and apply it around the pool. The Hex Pro Termite Bait System would also be a good choice. It is designed to kill the termites through feeding them a growth hormone. This may be the best and most practical choice depending on where you live.